New Teeth in 1 Day! Hello there, my name is Alex McIntosh. 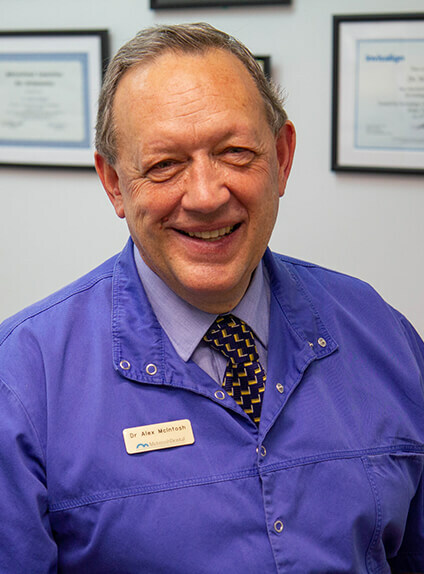 I have been providing new teeth treatments and placing dental implants since 1985, and have over 35 years experience placing new teeth. 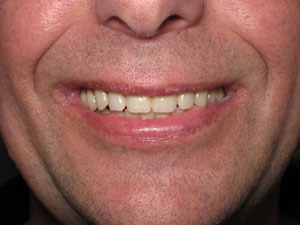 This page is dedicated to learning more about our dental implant system. Our system is a full-mouth teeth replacement option for patients who are currently wearing dentures or who are about to lose all their teeth. With this revolutionary technique, we replace ALL your missing teeth with new ”implant teeth” in just 1 day. To find out if dental implants are right for you, call 09 416 5050 to schedule a consultation with me. I look forward to meeting you soon. What is New Teeth on 4? New Teeth on 4 is a revolutionary dental procedure that replaces all your teeth in one day. It has changed thousands of lives since its inception in 1998. New Teeth on 4 is exactly what it says – all of your teeth replaced in one day with just 4 dental implants. You get a full set of new teeth fixed and permanently attached to the implants. These new teeth can be used straight away! Imagine enjoying the foods you’ve struggled with, perhaps for years. 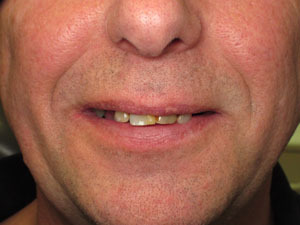 There’s no bone grafting! We engage the bone you already have, which is sufficient for these implants. Your new teeth only need to be removed for an annual clean with your favourite Fraser Dental Centre hygienist. Otherwise, take care of them as you would take care of any beautiful set of brand new teeth. Watch Nigel’s story to hear from the horse’s mouth how Fraser Dental’s New Teeth on 4 can change lives. Enter your details below to receive dental implant updates.